Buy gallons and save! Our pump makes it easy! 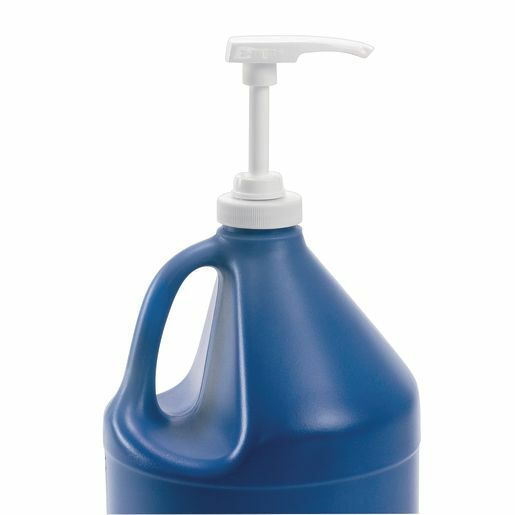 This gallon pump makes dispensing paint effortless - simply fit onto a gallon jug to make your paint easy to dispense. Great for use with Colorations® Simply Washable Tempera, Crayola® gallon bottles, or our BioColor® Original and BioColor® Fluorescent gallon jugs! A convenient timesaver for arts and crafts projects, and a great way to keep work surfaces mess-free, making cleanup a breeze! A Mess-free solution to paint projects-keep work surfaces clean and drip-free! Why are painting projects with BioColor® and Colorations® an essential part of the Arts & Crafts curriculum for children? Provides children with varied opportunities to develop and widen their repertoire of skills that support artistic expression - BioColor® and Colorations® give you such a wide array of uses and project possibilities that kids are sure to embark upon endless artistic explorations!